everybody knows you can't just pick up one thing. you always end up with more than you planned to get when popping into target, and sometimes you happen upon something really good. that's what happened to me on wednesday afternoon. i planned on picking up a smoothie and protein bar when i was on the road, before these caught my eye. naturally, i'm a sucker for good packaging, and they appeared to be a relatively healthy snack to munch on in the car. well, i'm hooked. 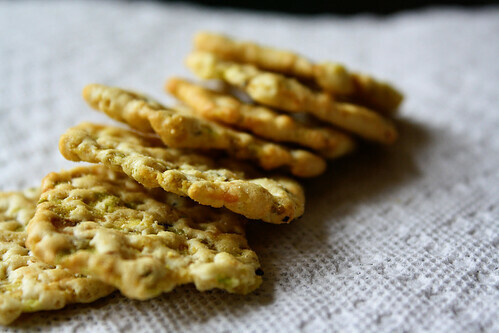 light and airy, they pack a big crunch and the not-overly-salty pistachio flavor shines through. these are a must-try, good to pack for a roadtrip or to break out after work. next time you find yourself browsing the aisles at super target, add these to your basket and proceed to the check out with no regrets. of course, i had to check out the liberty of london line while i was there, too. as i'd heard, everything is spread throughout the store (packed on many of the endcaps, i noticed), rather than in one convenient location. although this was really tempting, i left with only an 'ocean minerals' scented candle, and a pretty padfolio/clipboard. i do recommend the candles, for sure. the scents are really wondrous and i found myself sniffing several of them before making my decision. i liked the ocean scent because it made me think of summer... a warm breeze and pedicured toes. and for that, i'm ready.